What makes a good captain? While the specifics might be up for debate, having Shane Doan donning the ‘C' certainly can't be subject to the same scrutiny. It could have been any number of things that made Doan a no-brainer to take on the main leadership role for the Phoenix Coyotes, starting with his unselfish play, to a lead-by-example approach that can jumpstart his teammates in a split-second. 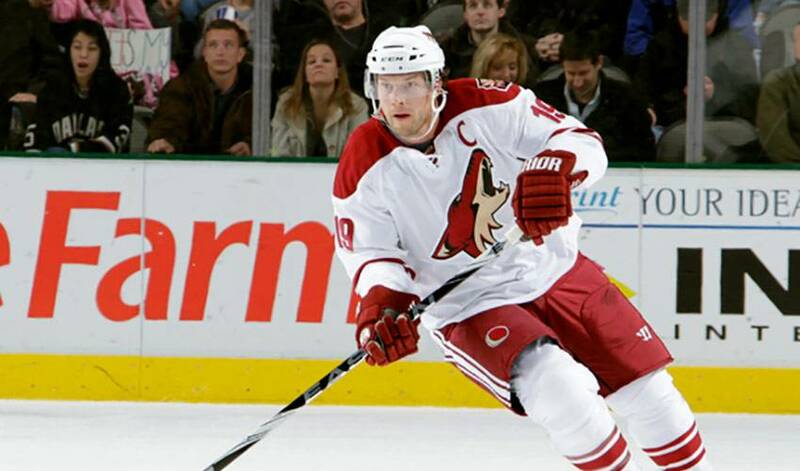 Although Doan was given the captaincy prior to the 2003-04 season, it appears he was destined for the role long before he joined the NHL ranks. Rewind to the spring 1995 and Doan was making headlines as the MVP of the Memorial Cup, a major force on a Kamloops Blazers' club that won their third Canadian Hockey League crown in four years. In the aftermath of the post-championship celebrations, more than one reporter asked the hard-hitting forward if his stellar play would mean a higher NHL draft position for the Alberta native. Doan's answer was hardly surprising to anyone, teammate or otherwise. Now, with over 1,100 games of NHL service under his belt, that philosophy hasn't changed one bit. Doan is still very much the same player he was during his pre-NHL days, a performer who plays with a sense of duty and obligation to those who wear the same uniform. Displaying that loyalty can take several forms. It can mean defending a teammate by dropping the gloves or it can be serving up a punishing open-ice hit intended to catch the attention of both benches. The decision to have Doan as team captain has been a plus for Phoenix, as the Coyotes, who endured a prolonged stretch of non-playoff years, are once again this season showing signs they are worthy contenders for the Western Conference crown. Bolstered by a balanced defensive corps, solid goaltending and a blue-collar front-line, Phoenix's focus on making the Western Conference final eight for the second consecutive campaign is a realistic goal. Having someone like Doan leading the charge is a major boost. “Whether you're winning or going through a rough patch, Shane knows exactly when to say things and how to say them,” said veteran defenceman, Adrian Aucoin, who is closing in on 1,000 NHL games. Just ask Keith Yandle, Phoenix's up-and-coming star blueliner. Although Doan's first priority remains team success, the 34-year-old is fully aware that his own personal contributions will play a major factor in how the Coyotes fare. More accountability, however, doesn't necessarily mean more pressure for the man who has also been a sparkplug for Team Canada, winning two gold medals and two silvers at the World Championships, as well as netting the game-winning goal in the World Cup championship in 2004. The focus remains on the present, a crucial point in the NHL calendar, a time when the undisputed leader of the Coyotes is always at the top of his game. For Shane Doan, it's the only way he knows.